AMP is a seamless integration across all aspects of performance, nutrition, recovery, and mental coaching. The program design process may be the most important step of the athletic development equation. After we have evaluated your needs on day one, its time for the AMP coaching staff to create your individualized performance training program. 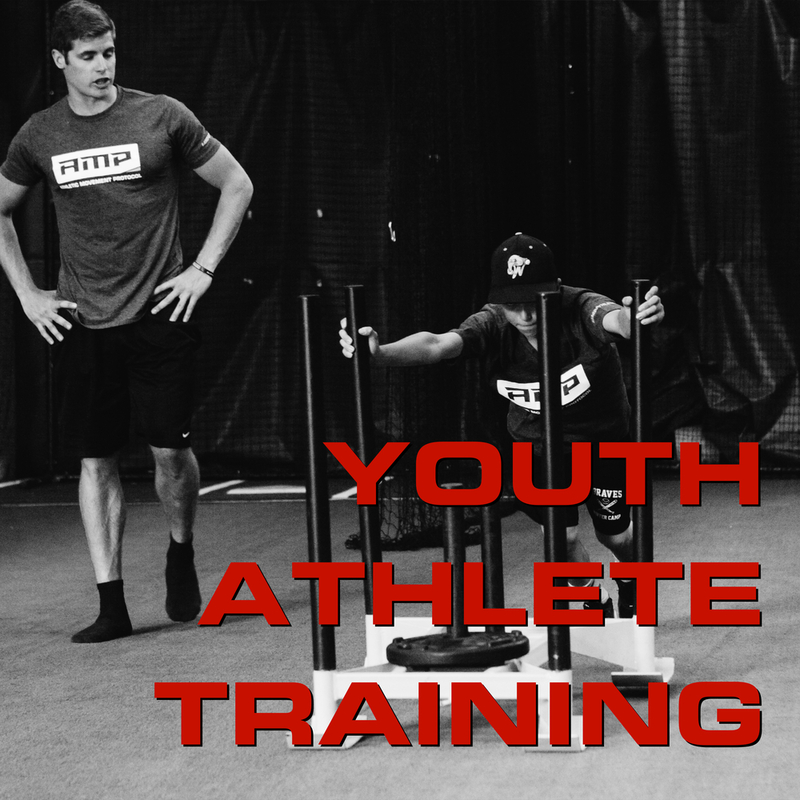 Using our scientific approach, we will include everything you need for optimal athletic development. Your personalized plan will be unique to you. We take into account the sport(s) you play, specific demands in those sports, your goals, and all of the objective information we collected in the evaluation. The AMP Performance Training is administered in individual and small group (2-5) training sessions. In your small group strength training session you will work along other athletes with totally different goals. So why should you be doing the same exact program? At AMP we don't "work out" we Train. Athletes train. They train with a purpose and distinct goals in mind. You don't get there one "work out" at a time. You get there with a detailed plan that's created with your best interest in mind. We're not here to get you sore and sweaty. We're here to get you better every single day. Each athlete needs to start at a place that's right for them. We see too many athletes skipping basic steps that would safely and effectively see progress and going straight to the advanced exercises which can, and often do, lead to injury. In the AMP Training System, you earn the right to do certain types of training techniques by demonstrating competency in fundamental movement patterns. This systematic approach allows us to change the path each athlete takes to reach their goals. In other words, we begin with the end in mind for each and every athlete that walks through our doors. AMP Athletes Dominate Every Day. Start Now. WANT TO LEARN MORE? CHOOSE YOUR PATH BELOW.